Inito, a Bengaluru based medical technology startup, has been selected by Y Combinator in their Winter ’19 Cohort. By doing so, it becomes the first Indian medical device startup to be supported by Silicon Valley based Y Combinator. The Silicon Valley based startup incubator boasts of a portfolio of well-known startups like AirBnB, Reddit, Quora and Dropbox etc. 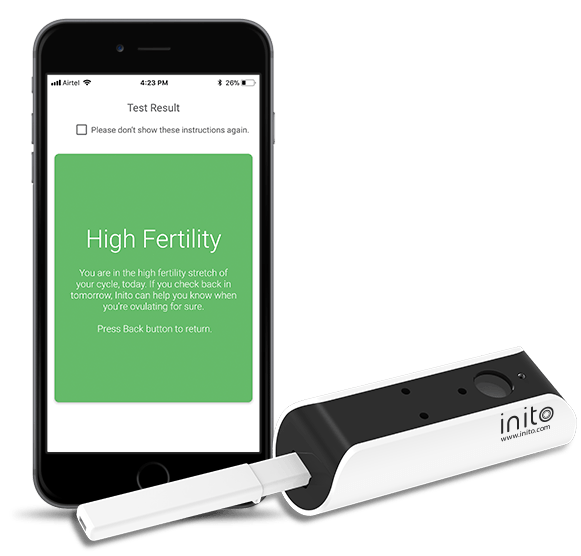 Inito’s flagship innovation is a small device that enables smartphones to perform lab-grade fertility diagnostic tests at home. The device is based on the company’s patent-pending ‘Flat-lens’ technology and comes with the Inito Reader, App and test strips. Right now, Inito’s Monitor measures two fertility hormones, estrogen and luteinising hormone (LH), in urine and enables women to track their fertile days at home and increase the chances of getting pregnant by 89 per cent. It’s AI based app understands cycle variations for every individual user and gives highly accurate results unique to every woman’s body. Inito now plans to add 8 more hormone tests to the device. This will allow the app to predict several key metrics of fertility for users and diagnose fertility conditions without going to the lab. By doing so, the company aims to disrupt the $30 billion fertility market. The data set of hormones collected through 50,000 plus tests taken on the device till now is arguably the largest cloud based dataset of fertility hormones in the world. Using big data analytics and Artificial Intelligence, Inito will be able to make more accurate predictions about fertility for its future users. Inito has previously raised $1.8 million from angel investors in India and Singapore.